Our mission is to promote DDD and support the community in learning to apply it effectively. In addition to offering training, Eric Evans and the other instructors are active speakers and writers, communicating about new insights gleaned from projects. Here we’ve collected some valuable resources for those learning about DDD and trying to adopt it. 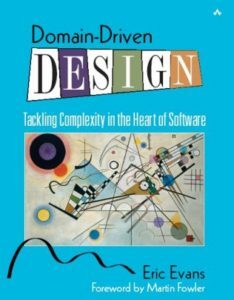 Domain-Driven Design , by Eric Evans, provides a broad framework for making design decisions and a vocabulary for discussing domain design. It is a synthesis of widely accepted best practices along with the author’s own insights and experiences. Projects facing complex domains can use this framework to approach domain-driven design systematically. Introducing Someone Non-technical to DDD? Print out the Manager’s Guided Tour. This guide lets a non-technical person dip into Evans’ book and skim the essential points in a few hours. 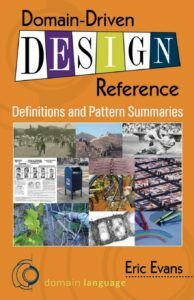 A summary of the patterns and definitions of DDD, in print and PDF forms. This paper describes four strategies for getting started with DDD when you have a big commitment to legacy systems.